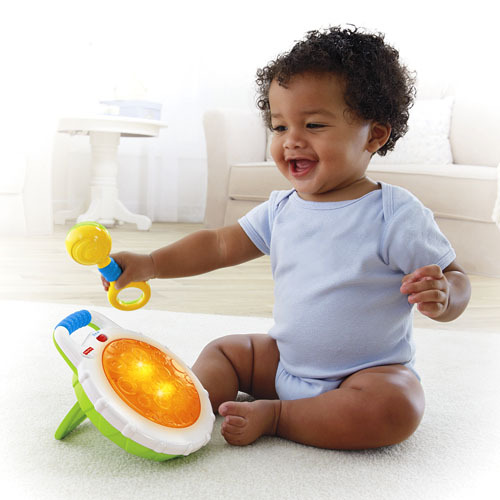 Introduce your little one to the wonder of making music, with baby?s very own drum! 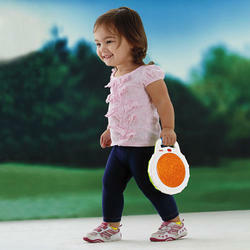 Younger babies can bat at the roly-poly base to activate music and lights through motion. Older babies can create their own music by pressing or tapping the drum face with the rattle striker. 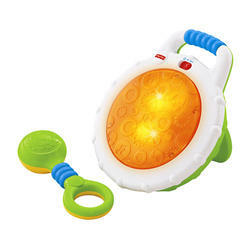 Lights on the drum face dance along to the music, encouraging baby to jam out again and again! 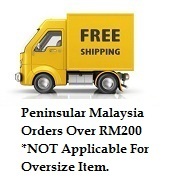 Recommended Age : From 3 Months and Up.